A few of you have talked to me about posters with a social or political message. 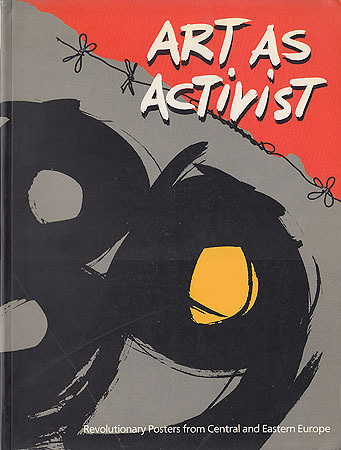 One of the best books on the subject is Art as Activist which featured many Eastern European poster designers. An exhibit of the work was held at Marshall University a few years after the Berlin Wall came down. I met a few of the designers but had the honor of Jan Sawka to review my Junior graphic design portfolio. He gave me several hours of his time and the organizers eventually turned the lights off on us. He told me how he was jailed and later banned from returning to Poland because of his message. He shared with me how that all eventually changed and he was welcomed home as a hero. It was quite a story to hear and a radical departure from the motivations that were generally discussed in class at the time—then and now!